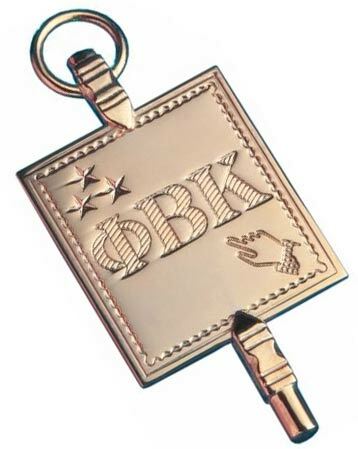 The Society’s distinctive emblem, a golden key, is widely recognized as a symbol of academic achievement. It should be worn only by members. Members in course are all members of the chapter elected as undergraduate or graduate students. Election to membership in Phi Beta Kappa is an honor conferred upon fewer than ten percent of each graduating class. Students do not apply for membership but are elected by the chapter, after a review of the academic records of each eligible candidate. Election is based upon good character and a distinguished record of scholarly performance in courses that demonstrate a broad exposure to the liberal arts, i.e., the fine arts, humanities, languages, mathematics, natural sciences, and social sciences, as well as substantial work in areas outside the major. Resident members are members of Phi Beta Kappa who hold faculty or staff positions at the University of Mississippi. Foundation Members were elected for their significant scholarly contributions and to help organize the Chapter. These members were inducted at the Chapter Installation Ceremony on April 6, 2001. Alumni/ae members are graduates of the University elected for their significant contributions since graduation.